The Jawas from Star Wars are interesting and really simple costumes; and particularly children love them and look good in them. A nice breakdown concerning the pattern and overall look can be found here. However, this is not what I would like to talk about. My subject is the screen accurate fabric that was used. And here’s a closeup of the fabric. Note the diagonal ribs! You can see the very same kind of diagonal ribs if you look at ordinary Jeans. Jeans are made from Jeans fabric, which is woven in a twill weave. 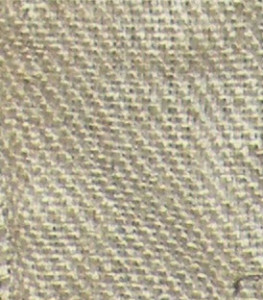 The twill weave is what causes the diagonal ribs. 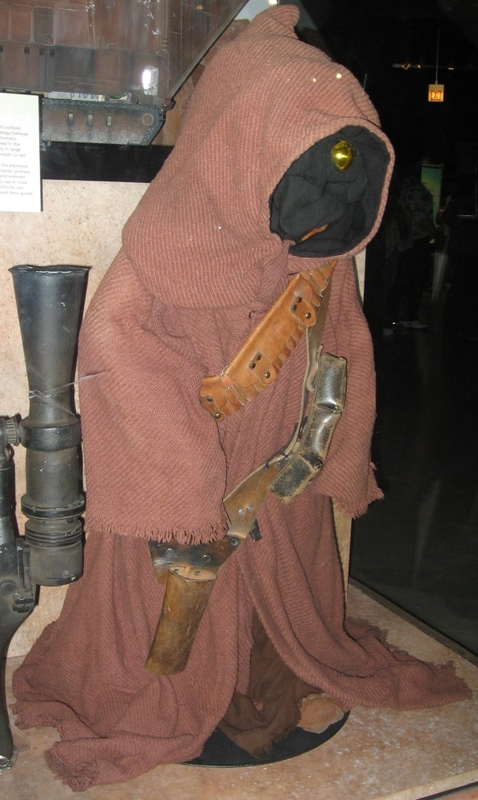 Of course you can’t actually use Jeans fabric for a Jawa. The weave is too fine, so the ribs are too small. A lot of people suggest to use Monk’s cloth. 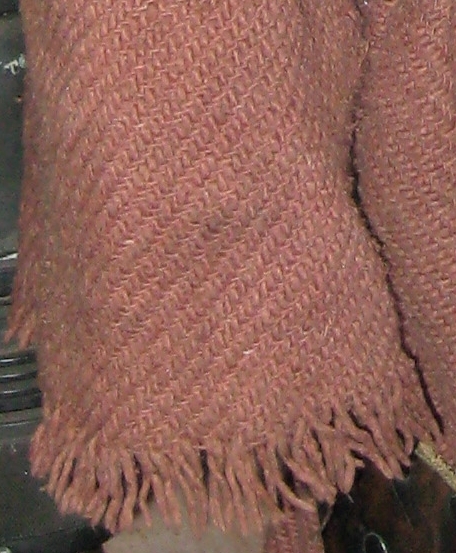 The problem with Monk’s cloth is that it is a simple linen weave (whereas ‘linen’ refers to the type of weave – up, down, up, down; and vice versa in the next row – not to the fibers used for weaving in this case!). 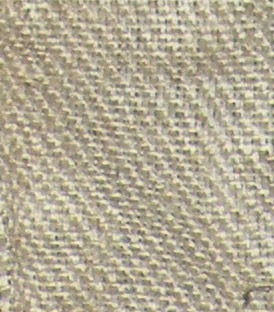 That simple linen weave however doesn’t have those very prominent diagonal ribs, which, again, are caused by a twill weave, not a simple linen weave. Others suggest to use the Ralph Lauren Herringbone blanket. There’s a problem with that weave, too – a Herringbone weave looks like ‘chevrons’, meaning a zigzag weave, not a diagonal stripe weave. There’s just ONE possibility to actually achieve the diagonal ribbing, and that is to use a fabric which actually has been woven as a twill weave. Now, I know that many people whined and howled how they “looked everywhere” and “just couldn’t find that type of weave in a coarse enough fabric”. Let me tell you that they just couldn’t find it because they didn’t look hard enough and / or in the wrong place. Because, seriously? NAERGI, WHAT KIND OF FABRIC IS THAT? WHERE DID YOU GET IT? WAS IT EXPENSIVE? CAN IT BE DYED? 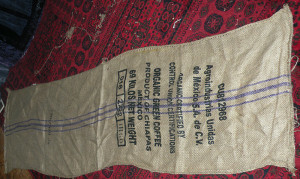 Coffee-, Coal- or grains sacks in twill weaves are not common, but they’re not exactly ‘rare’ either. If you just look through Ebay and look at the images REALLY carefully to verify that the diagonal ribbing is there, you can find them. And inexpensive at that, too – I paid less than $20 for three sacks, which are just barely enough to make a Jawa costume for my son. They’re made of Jute, and can be dyed perfectly. For an adult, I’d probably buy five or six sacks (two for front, two for back, and the other two for sleeves, hood and strips to wrap the shoes with). Yeah, true. But! The writing as well as the stripes AND smell / stiffness will go away if you just wash hot and tumble dry the sack several times. With “hot”, I mean 95°C (203°F). And with several times, I mean about 5-8 times. As you can see, the writing as well as the stripes have almost completely disappeared. Repeat that a few more times and there you go – clean sack; ready to sew and dye. 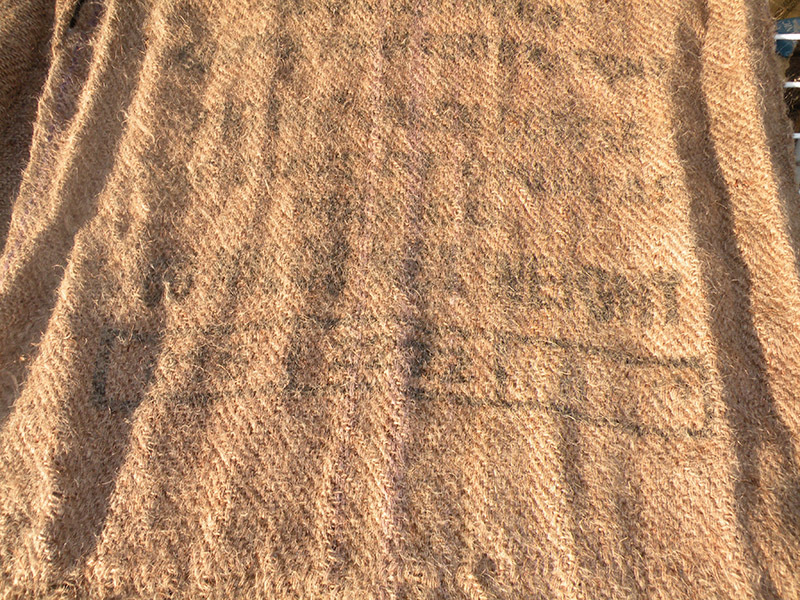 Particularly during the first washing, the sacks will SHED. As in, A LOT. Watch the machine, particularly when it pumps off the water. The drain MIGHT get clotted with all that lint. Acquiring a drain cleaner which is able to dissolve hairs isn’t the worst acquisition before you start, just in case. The shedding will become less over time (meaning, the more often you wash it, the less it will shed… eventually it won’t shed at all any more); but particularly the first washing is horrible. To make the writing / lines disappear faster, you can always add some bleach (chlorine) to the washing. Also, clean the sieve of the tumble dryer often – again, this shedding will become less over time; but during the first washing / tumbling, it’s really awful. Start washing the sacks only AFTER you have opened / unraveled the sides; otherwise you’ll force a break line in the fabric at the ‘bottom’, which you really don’t want. 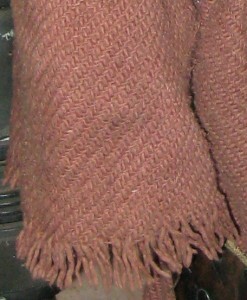 This unravelling usually works very quick; the sack’s sides are usually sewn close with a seam that is much likely to a double crocheted line. If you find the right ends (which are usually at the bottom of the sack), you should be able to unpick that seam so, in case you unpicked it in the right place, you should just have to pull on two thread and the seam will unravel. 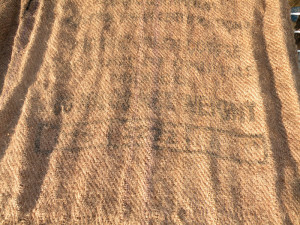 Loose ends (not the sides, those have the selvages – but the ‘upper’ part of the sack) should be secured with a large zigzag machine stitch before washing. Otherwise I guarantee that the fabric will fray up to 4 inches per washing! The sacks will also shrink by 10-15% in all directions. Don’t underestimate that shrinkage when buying the sacks. 10-15% on a yard is 3.6-5.5 inches! Said shrinkage is also the reason why you FIRST want to open the side seams, THEN wash, THEN sew and THEN dye. In case the writing doesn’t completely disappear during the washing, you could always rub some diluted black or dark brown paint over it after dyeing the fabric. That way the writing will look more or less like dirt stains, which is desirable for a Jawa. I’ll sum it up again: First, open side seams; then, wash, tumble dry, wash, tumble dry.. until you like the drape and feel of the fabric.. then sew, then dye. 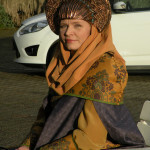 On the page which I linked first (here again) you can find a decent pattern for a Jawa costume. You should use four sacks for an adult Jawa costume (one each for front left, right and back left, right) to achieve a wide enough costume. After sewing you want to unravel / fray the sleeve ends and the lower end of the tunic by approximately an inch or a bit more. Then, right up to where the fabric has been frayed, you want to sew a zigzag seam to protect the remaining fabric from fraying more during the following dyeing and later washing.